Sound artist and composer. His activities are engaged with the act of listening and the exploration of aesthetic and spatial aspects of sound through phonography, site-specific installations, immersive live performances and compositions. Interrelations between hearing, time and space and acoustic phenomena in the thresholds of perception are the essential focuses in his practice. His work has been presented internationally, being awarded in the ’5th On-Air Radiophonic Art Prize’ (2009, Círculo de Bellas Artes, Madrid), the competition ‘Europa – Ein Klangpanorama’ (2011, Goethe Institute, Deutschlandradio Kultur, ZKM-Karlsruhe) and the ‘Sound-In Programme for new creators’ (2012, Estampa Multiple Art Fair, Madrid). Recent projects include a series of works based on hidden sounds and subaquatic field recordings, site-specific interventions in The Netherlands and Spain and commissions by Radio Reina Sofía Museum (Spain), FON Air (UK) and Silence Radio (Belgium). 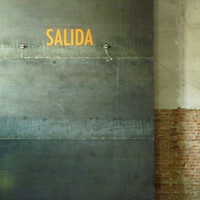 Since 2004 he is a member of Mediateletipos.net and the community ArteSonoro.org, initiatives through which he has been contributing to various editorial and curatorial projects. In 2013 he started a practice-led PhD in electroacoustic composition and sonic arts at the Sonic Arts Research Centre (SARC) in Queen´s University Belfast, Northern Ireland. Posted on November 27th, by Marlies in 2013, Artists, Artists who resided at the studios.